There’s so much cleantech news to cover that we generally have hundreds of stories on our “story sheet” that we’re never able to cover. In the coming days, we’ll be rolling out a couple of strategies to help deal with our backlog. Yep, this #NewsParty format is one of those. 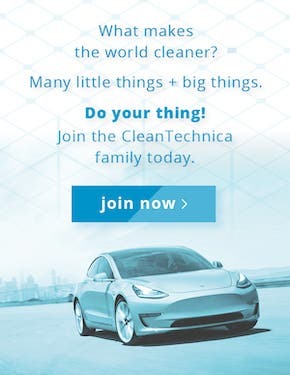 Batteries are the most critical cleantech subject these days. 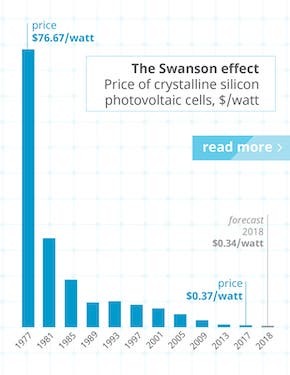 So much cleantech growth depends on quickly multiplying battery production and lowering battery prices. 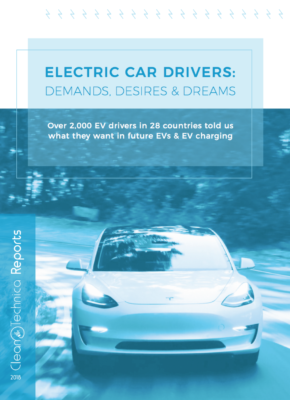 We have 23 EV battery stories from the past couple of months that we’ve been aiming to cover and just haven’t gotten to, so here’s a special rundown of the news. 1. Bloomberg New Energy Finance (BNEF) updates us that average battery pack pricing ($/kWh) has dropped 85% since 2010 and now sits at $176/kWh. 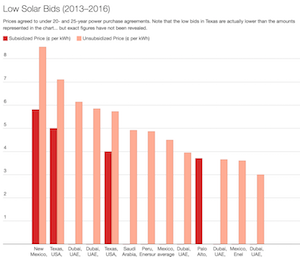 There’s a nifty GIF chart to go along with the news too. 2. BMW Group has a factory in Dingolfing, Germany, prepping to start producing EV battery modules next year. 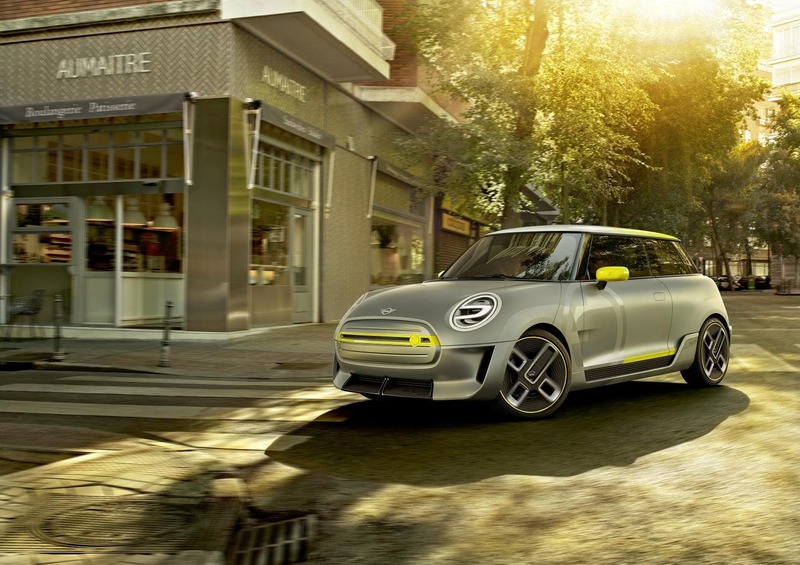 The battery packs produced there will be used in the fully electric MINI, which will go into production in late 2019 in Oxford, South England. The MINI’s electric motors will be produced in Landshut, Germany, right down the street from Dingolfing. “From 2020, the Dingolfing plant will also produce the fifth generation of electric drive systems for future electrified vehicles of the BMW Group, such as the BMW iX3, the BMW i4 and the BMW iNeXT,” BMW adds. “The extensive construction and preparation measures required for this have also already started.” This Dingolfing facility has already been the production site of battery modules and electric motors for BMW plug-in hybrids. 4. Battery scientist Kenan Sahin announced that he had invented a battery compound that would cut the need for cobalt in battery cathodes. “Sahin says his new material can reduce the amount of cobalt in battery cathodes from about 20 percent to as little as 4 percent, which could result in dramatic cost savings for electric cars.” Will it work out commercially? We’ll see, but Sahin says he already has one automaker agreeing to use GEMX, what he calls the compound, and Sahin also sold a cathode compound to BASF back in 2016. 7. 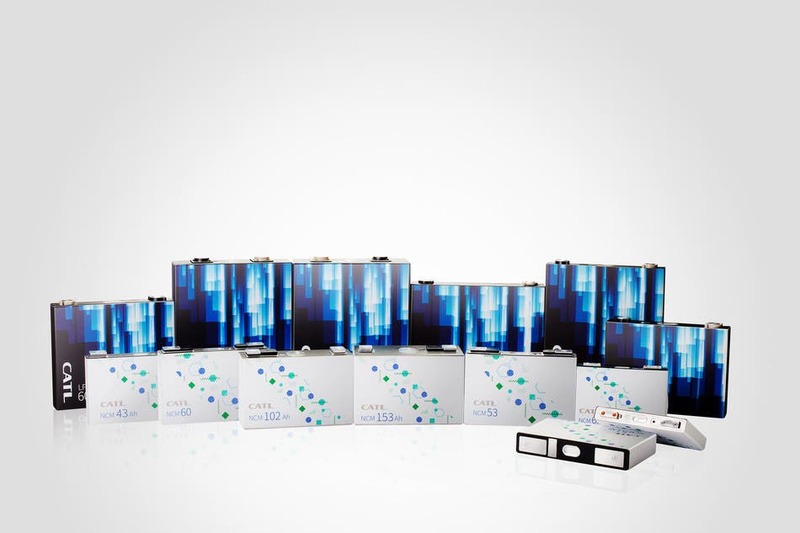 Northvolt announced a few days later that it was setting up a “state-of-the-art production facility, including a R&D center, for battery modules and energy storage solutions” in Gdansk, Poland. 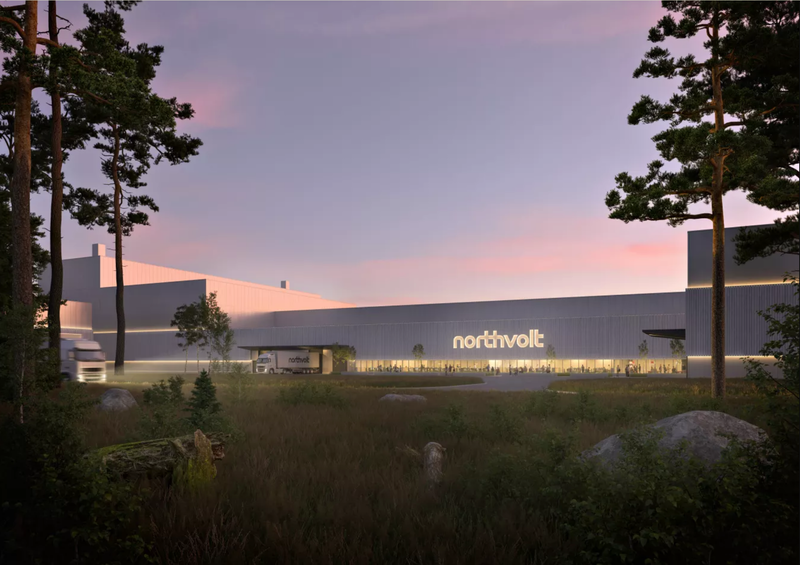 “The facility will be operated as a partnership between Northvolt and South Bay Solutions, a company specialized in manufacturing battery modules.” This facility is for battery module production. Northvolt’s location for battery cell production is in its home country of Sweden, in Skellefteå. Module production is supposed to start in 2019 and cell production in 2019, which seems to imply Northvolt will initially get battery cells elsewhere as it gets its module production process rolling. 8. Daimler’s Kamenz e-mobility facility has produced 200,000 lithium-ion batteries since 2012. 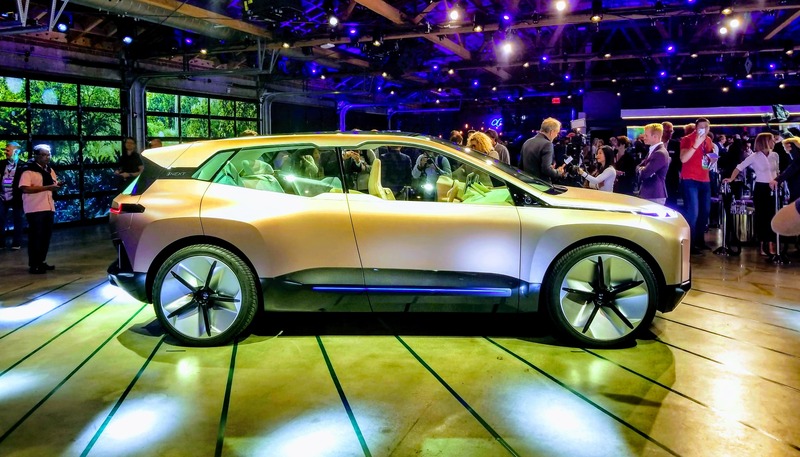 To help ramp up production in 2019 for the coming Mercedes-Benz EQC, a fully electric SUV, Daimler announced in early November that it would double the number of employees in its Accumotive division by the end of 2018. EQC production is supposed to begin in spring 2019. 9. LG Chem recently hosted its first edition of The Battery Challenge, which is an “open innovation contest for start-ups with new battery technologies.” There were 4 categories for the battery competition: ‘battery material’, ‘battery management and control’, ‘design, manufacturing and processing’, and ‘recycle and regeneration’. LG Chem was offering $1.9 million to start-ups through the competition. 11. Enevate, which has been working on advanced lithium-ion battery technology, indicated that it had received investment from EV battery giant LG Chem, which the company rightfully notes is a strong nod of confidence for what it’s developing. 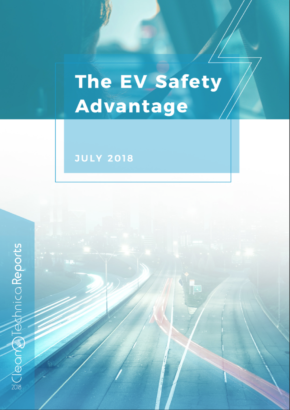 “Enevate’s HD-Energy® Technology for EVs allows Li-ion batteries to be charged to 75 percent capacity in five minutes, while also providing higher energy densities than available for today’s current long-range EVs. They can also safely charge and discharge down to -40°C and capture more energy during regenerative braking, extending their range in cold climates,” the company adds. 14. Yacimientos de Litio Bolivianos (YLB) & ACI Systems Alemania GmbH (ACISA) joined forces for lithium extraction and industrialization in Bolivia. YLB is a Bolivian state enterprise, while ACISA is a German company. “The signing of the partnership agreement by YCB and ACISA represents an important milestone in the realization of the Bolivian-German lithium project. 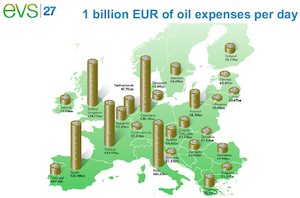 The partnership also guarantees Germany access to the metal. Salar de Uyuni in the Bolivian Andes is the world’s largest known lithium deposit— around ten million tons. “The consortium around ACISA offers state-of-the-art technology, plants and machinery to establish a value-added chain in Bolivia in the mid-term, from extracting the raw material lithium through producing cathode material right up to manufacturing battery systems as end-products. 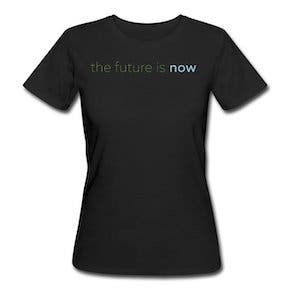 “Apart from the use of leading-edge technologies, another key aspect is environmentally and socially-compatible implementation, for example by using renewable energy. “Furthermore, knowledge will also be transferred as Bolivian employees undergo training and qualification courses. This will create between 500 and 1,000 direct jobs and up to 10,000 indirect jobs in Bolivia in areas such as transport, logistics and services. 15. 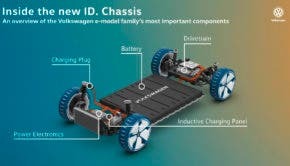 SK Innovation, a top EV battery producer based out of South Korea, announced it would invest $1.67 billion into an EV battery factory in the US state of Georgia. The plant is expected to create more than 2,000 jobs. “Customers for SK Innovation include Mercedes-Benz and Hyundai-Kia Motors, and this new investment will provide opportunities for SK Innovation to bring its world-class products to additional automakers in the United States,” the company adds. “The new plant will be located in Jackson County, Georgia. Construction will occur in two phases, beginning in early 2019. The first phase will invest approximately $1 billion and employ more than 1,000 advanced manufacturing employees, making it the largest scale electric vehicle battery plant in the United States. 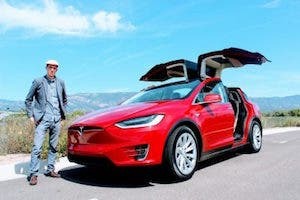 SK Innovation leadership worked closely with federal, state and local officials to finalize the investment.” I’m not sure where the claim of “largest scale electric vehicle battery plant in the United States” comes from, given that we’ve got Tesla’s Gigafactory 1 in Nevada, but it is good to see another large EV battery factory coming to the US. 18. 24M, a lithium-ion battery innovator not to be confused with 3M, “has raised a $21.8 million Series D to accelerate the deployment of its simple, capital-efficient, low-cost manufacturing process and the development of differentiated, high-energy-density lithium-ion cells for the EV market.” Kyocera Group and ITOCHU Corporation led this investment round. North Bridge Venture Partners, which had previously invested in 24M, also added to the cash infusion. 22. Panasonic & LG Chem are planning large increases in the battery production in China thanks to loosening market rules there. Panasonic is planning an 80% production boost there and LG Chem is planning new facilities for Nanjing by 2020. “The Chinese government will relax rules on foreign players setting up electric-vehicle companies or facilities from next month. … Osaka-based Panasonic, whose current Chinese battery output capacity is believed to be nearly 5 gigawatts hours, has secured land for two more buildings to go with the current two at its Dalian, Liaoning Province, facilities. “The completion of LG Chem’s Nanjing factory is expected to bring the South Korean company’s annual output at the site to around 500,000 electric vehicles’ worth. LG also plans to set up joint ventures with China’s Zhejiang Huayou Cobalt and begin production of cathode materials, a key battery component.